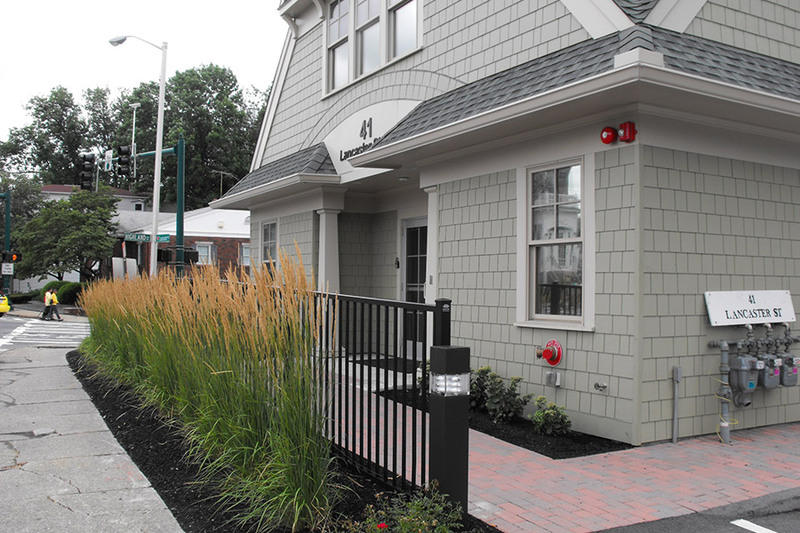 Landscape Elements LLC provided landscape architectural services from planning and zoning approval through to construction documents for a dental office located at a busy intersection in downtown Worcester, Massachusetts. 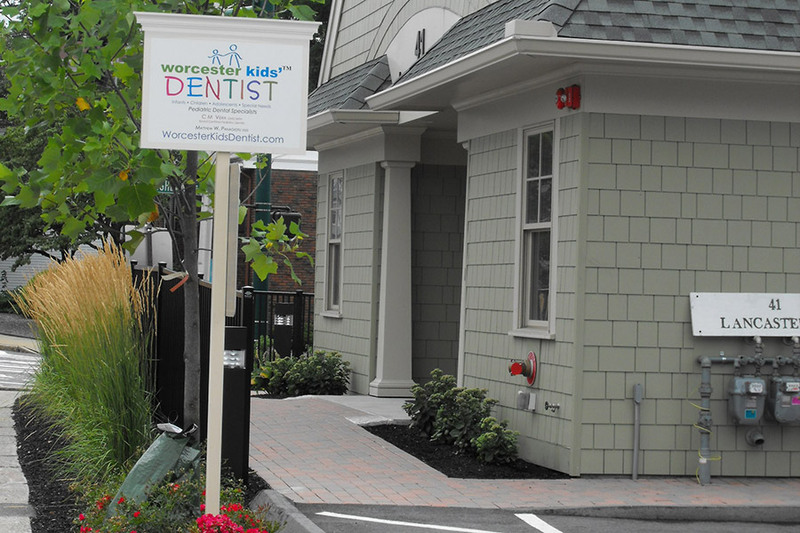 For Worcester Kids’ Dentist, the landscape architectural design approach focused on providing the clients with interesting views out from the treatment rooms as well as an interesting landscape design that would complement the architecture and also tolerate the harsh winters. 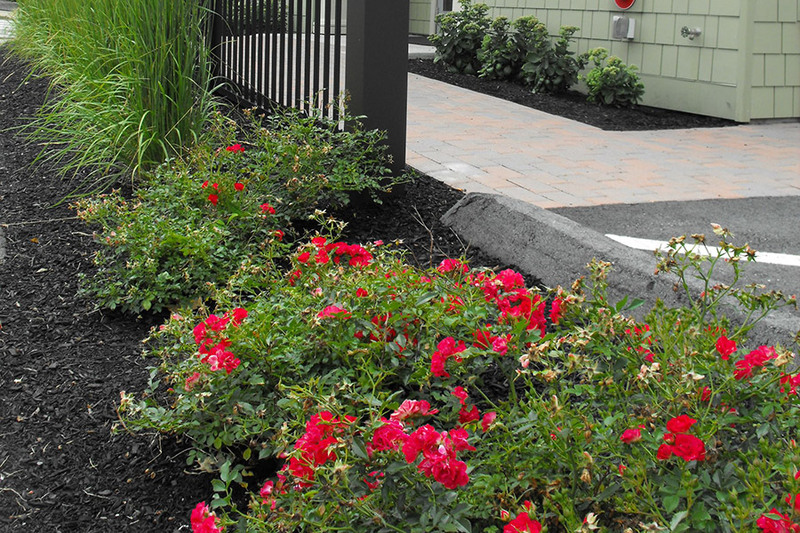 • An inviting entrance and plantings that provide interest throughout the year. 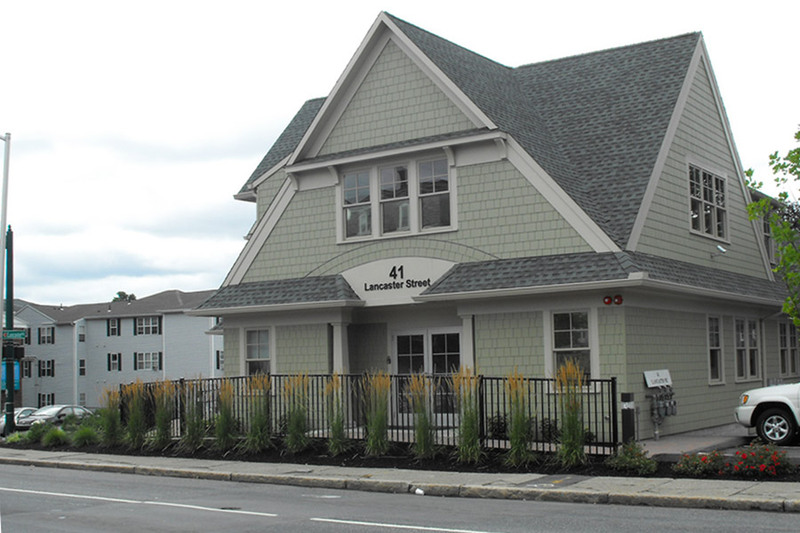 • Screening of the parking lot from the abutting property owners. 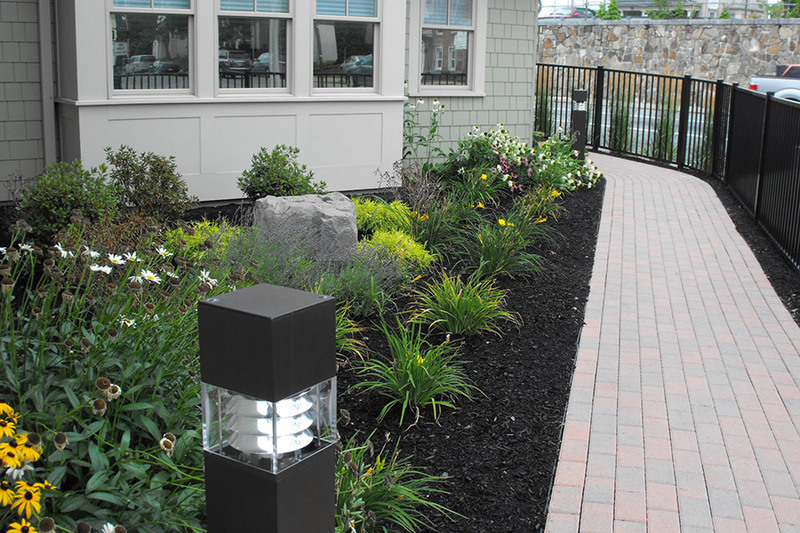 The planting palette included shrub plantings (Andromeda, Inkberry Holly, Viburnum), ornamental grasses (Feather Reed Grass, Elijah Blue Fescue), and hardy perennials and groundcovers (Shasta Daisy Echinacea, Walker’s Low Catmint).